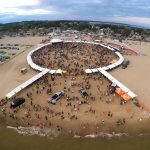 Muskegon, MI– Muskegon’s Pere Marquette Beach will ignite on August 26, 2017, for the 3​ rd Annual​ Burning Foot Beer Festival​. Serving as Michigan’s only barefoot beer festival on the sand, festival goers can enjoy some of the finest craft beer found in the Great Lakes region, revel in local art and food, groove to local and national music acts, and take in the beautiful shoreline of Lake Michigan. Burning Foot Beer Festival is turning up the heat in 2017 with 65 craft breweries from Michigan, Illinois, and Wisconsin, and five bands with two national acts— Less Than Jake, Badfish – A Tribute to Sublime, Tropidelic, South Paw and Melophobix. Intent on lighting up all the senses, more local art will be exhibited this year, and Burning Foot Beer Festival’s own Chef Scott will be serving up a new beach menu (with a beer twist). Exclusive to Burning Foot Beer Festival and even bigger this year, is the one-day camping experience on the lakeshore, with two RV campgrounds and expanded tent camping space. Also new this year is the addition of a VIP tent complete with patio seating, fire pits, VIP parking, and early entry into the festival. 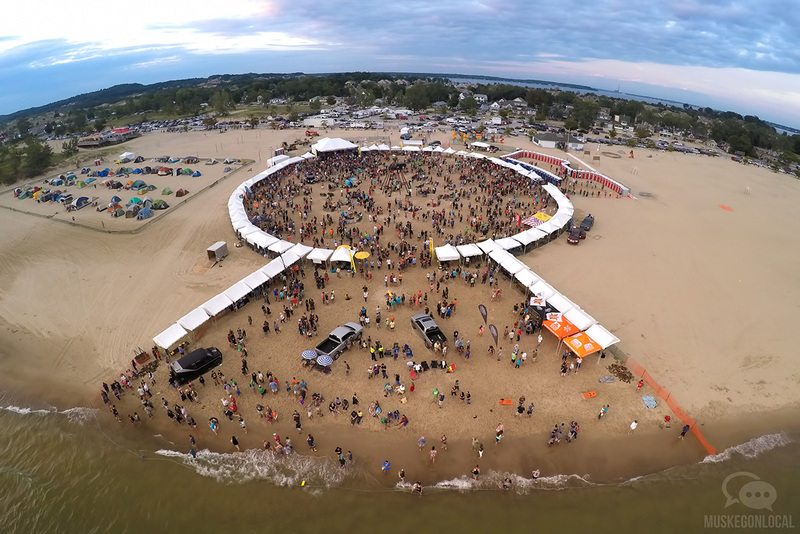 Although Burning Foot is first and foremost a celebration of local craft beer, the festival also highlights the lakeshore’s stunning natural beauty (and hot summer sand)! Bordered by sand dunes to the east and Lake Michigan to the west, Pere Marquette Park provides world-class natural surroundings from every vantage point. The Lakeshore Brewers Guild will be hosting a pre-release ticket party June 24, 2017, at the Downtown Muskegon Beach Volleyball courts on the corner of 2nd & Western from 12:00 to 5:00 pm. This free event includes food, music, and craft beer on-site to help kick off the sale of all tickets (including VIP, camping) before the online sale begins. Patrons will be able to kick back, enjoy some tunes, have a craft beer, and sink their feet in the sand. Tickets are $50 ($60 on day of festival) and will be available for purchase online beginning on Saturday, June 24 at 5:01 pm. VIP tickets are $125 (Limit 200). Designated Driver tickets are $20. Tickets for camping will also be available online. Camping is $50 per tent, and RV is $100 per location. Omg, I’ll buy my own craft beer and have my own beach party! Good luck.